Blue Cross Norway is a member of the International Blue Cross, which represents around 40 national member organizations. Read more about the International Blue Cross. Blue Cross Norway has projects in several countries in collaboration with local partners. In our projects we see alcohol as a serious and often overlooked barrier to development. Priorities in our international work are (1) Children, young people and families affected by substance abuse and (2) Good alcohol policy and structural prevention in developing countries. According to the World Health Organization (WHO), alcohol is the third leading risk factor for injury, disability and premature death worldwide. In some countries in Africa, Latin America and Eastern Europe the situation is even more critical. There is a link between alcohol and more than 60 different diseases, including HIV/AIDS and tuberculosis. Non-communicable diseases, such as cardiovascular disease, liver disease and cancer, are currently the largest burden of disease in the world. In poor countries, the impact of non-communicable diseases is on the increase. In addition we find neglect of children, violence, lost productivity in the workplace and other major impacts on people and communities around those who abuse alcohol. 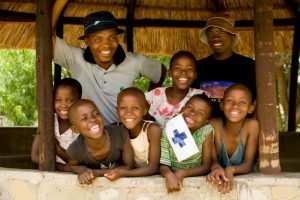 Blue Cross Norway supports treatment and prevention work in several countries in Africa and Eastern Europe. Our projects are presented here.